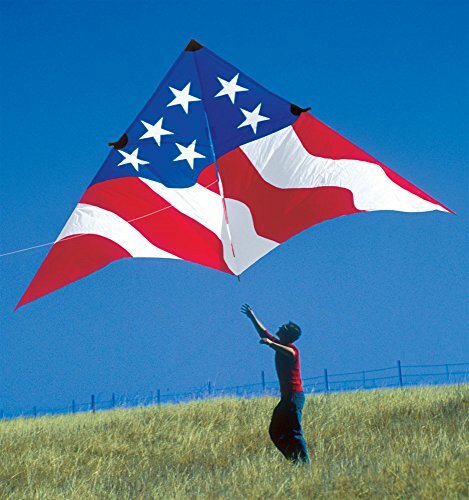 19-FT GRAND DELTA USAA graceful flier, this delta kite excels in winds from 5 to 18 mph. Constructed with heavily reinforced details, it's made of ripstop nylon with fiberglass spars. It has 3 tail attachment points. Built like a tank, this enormous kite will blow you away. Be prepared for more pull than you know what to do with. 18'-6" x 9'-3". 4-lbs. 15-oz. 51" case. Folds to 47" (This product has a shipping length greater than 42" and can not be shipped to some international addresses). Use 500-lb. Dacron line. If you have any questions about this product by Premier Kites, contact us by completing and submitting the form below. If you are looking for a specif part number, please include it with your message.